I saw someone in the comments of Episode 1 of How To Make It In America ask about the song in the intro. Check out number 5. 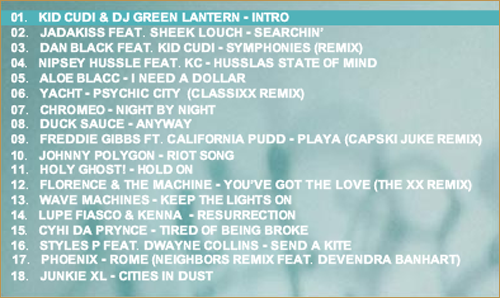 This mixtape is a great melting pot of styles. It is definitely worth the download. Link at the bottom. 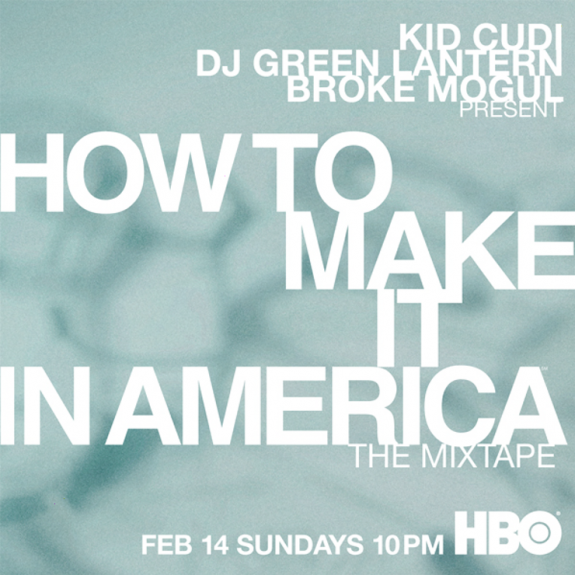 Via DatNewCudi: HBO teamed up with Kid Cudi, DJ Green Lantern & Broke Mogul (DECON) to create “How to Make it In America: The Mixtape”. Hosted by Cudi, he chimes in through out the mixtape discussing the cast, show and his acting aspirations.